It’s been a hot minute since I did one of these! But then again, it’s also been a while since I read something that so strongly reflected its predecessors or inspirations. 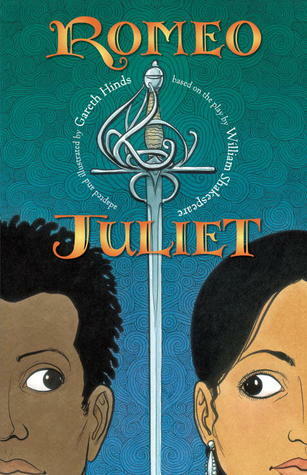 I mentioned in a previous post that I’ve read another graphic novel by Gareth Hinds while teaching Homer’s The Odyssey; similarly, I know I have to teach Shakespeare’s Romeo and Juliet this year (*eye roll*), so I got Hinds’ graphic novel version to see if I can find a way to incorporate it. Gareth Hinds’s stylish graphic adaptation of the Bard’s romantic tragedy offers modern touches — including a diverse cast that underscores the story’s universality. First things first, if you love the classic tale of literature’s most famous star-crossed lovers, this adaptation does the original story justice. The language remains the same, so you’re not getting a “cheat sheet,” per se; however, in this format, you have the visual advantage of being able to see the characters and conversations, see who is speaking and to whom they are speaking. I really can’t say enough about having visuals, especially for stories that have elevated language that might confuse current-day readers. Having that visual assistance can only aid in understanding the plot. Another advantage (in my opinion) of this format is that the content must be condensed so, thankfully, many of the pointless, rambling monologues are cut out entirely or reduced to only the parts that drive the story. To me, those moments where the Nurse would go off on a tangent never added to the story and instead only added to the level of student confusion. I’m thrilled that those are omitted and, honestly, wish I could teach with this graphic novel as the primary text. This adaptation includes everything that is pivotal to understanding the plot and social references. For those who are only reading this out of obligation and not by choice, this version would serve just as well as the original. The most obvious difference between this graphic novel and the classic play is that the character families are portrayed as minority groups; the Capulets are Indian and the Montagues are Black. Hinds makes it clear that the choice to portray them as such is not pointed in regards to either culture and simply exists in order to show that the story is “universal” in its popularity and influence. Whether it was the goal or not, portraying the families in this way also makes it easier to determine which characters are Capulets vs. Montagues. Instead of just having a bunch of white people fighting and not knowing whose side each is on, for better or for worse, the difference in ethnicity helps readers understand sides. However, potentially also unknowingly, this gives the impression that the family feuds could relate to cultural differences, when such is not likely to be true in the original play. My mission is to find a way to incorporate this graphic novel into our reading of the classic play as much as possible. If you remember my efforts with The Odyssey and Nimona, I have faced trouble with giving students access to the text. However, those attempts were at a school that did not have one-to-one capabilities, which I will have this year, so it is possible to give students access to an electronic copy. I’m going to go with that and see where it takes me. In addition to the graphic novel, there are numerous film adaptations of the play. 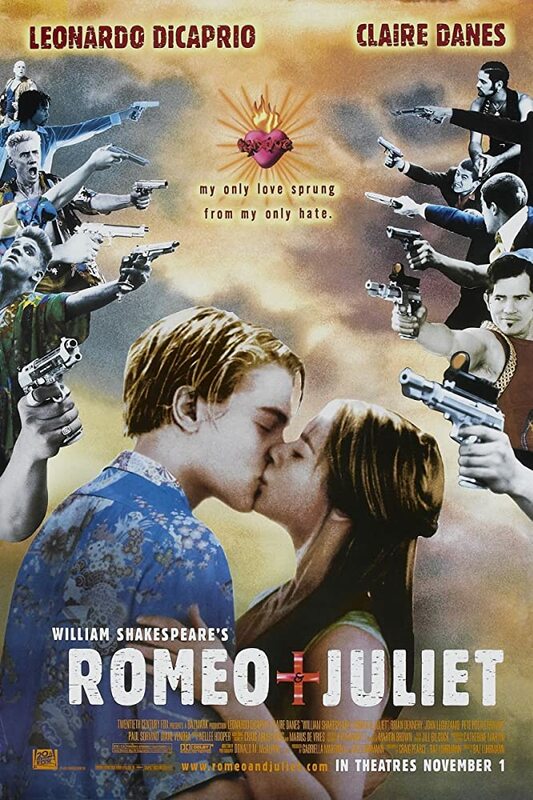 I was kindly gifted a copy of Luhrmann’s “Romeo + Juliet,” featuring my boyfriend Leo. There are also other versions, like “Romeo Must Die,” “Gnomeo and Juliet,” and “West Side Story.” I also have several songs that would be great for lyric analysis in regards to this play. I’m excited to teach it, in spite of the fact that Juliet and Romeo are as irritating as the day is long.